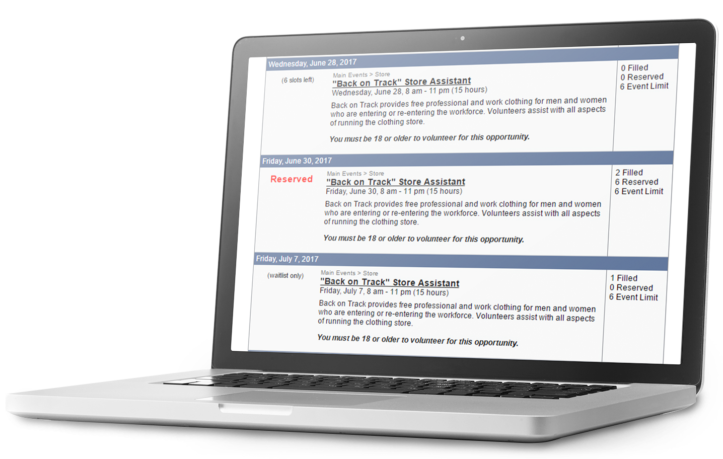 Our volunteer management software offers a full suite of management and event features. An important aspect of volunteer management software is event management. VolunteerHub’s volunteer management software makes it simple to coordinate event details from beginning to end so you can make the most of every volunteer experience. 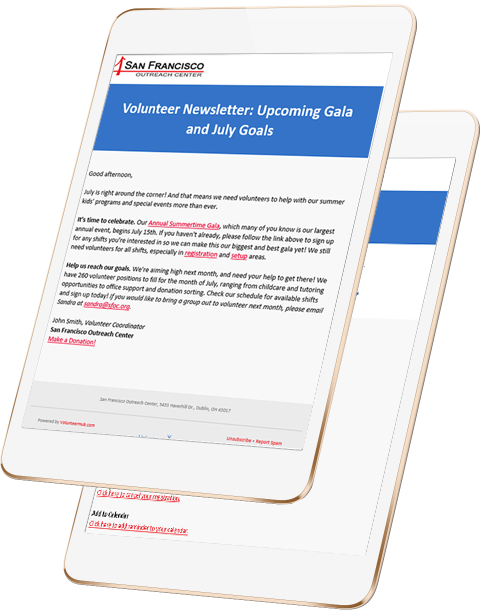 There are several ways to customize your events in VolunteerHub's volunteer management solution to create a better volunteer experience and assist with administrative tasks. 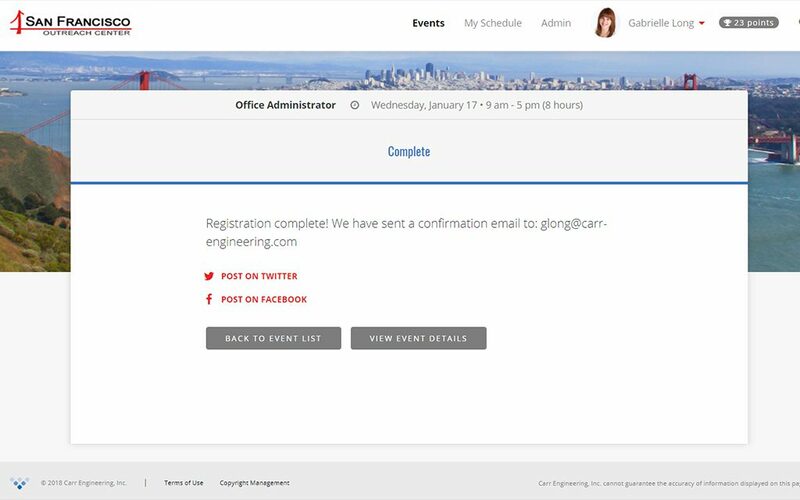 One way to customize your events is with event pages that can be designed to match your organization’s branding and can include all specific event details. 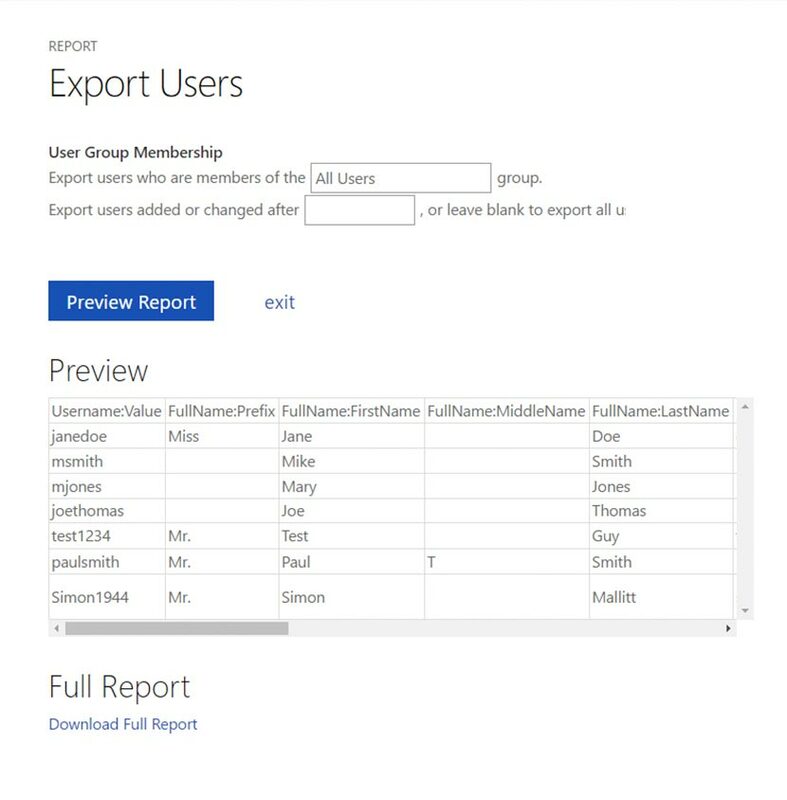 Another way is by creating and organizing groups within an event with the Event Group function. Use it to ensure all responsibilities or shifts at an event are covered. For example, a few groups for an event may be the setup crew or the cleanup crew. Using spreadsheets and handwritten calendars can slow productivity and reduce efficiency. That’s why VolunteerHub's volunteer management software offers built-in, online volunteer scheduling capability that automates volunteer registration for you. With this simple yet effective tool, prospective volunteers can self-manage their account and relieve the responsibility of maintaining excess paperwork or documents outside of the software. 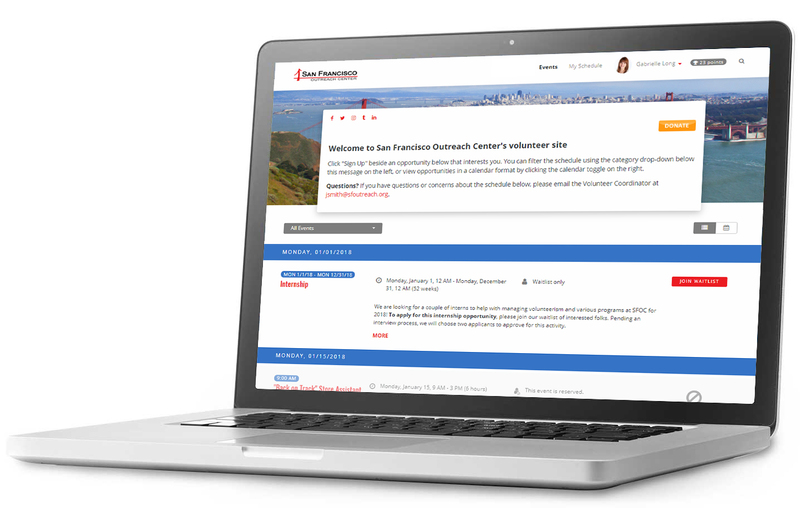 Streamline volunteer recruitment with VolunteerHub’s centralized electronic database of volunteers. Instead of consulting handwritten lists of past volunteers, you can start your recruitment process with a search for volunteers within your network of contacts. Since your contact list consists of former and current volunteers, you have a greater likelihood of achieving desired participation levels. And when it’s time to recruit, VolunteerHub's volunteer management software provides various methods to communicate with your volunteers, including email and text messaging. 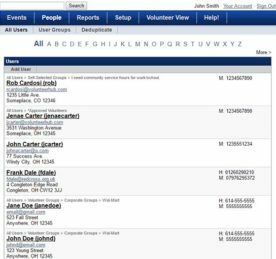 Plus, volunteer contacts have the ability to update their own information. 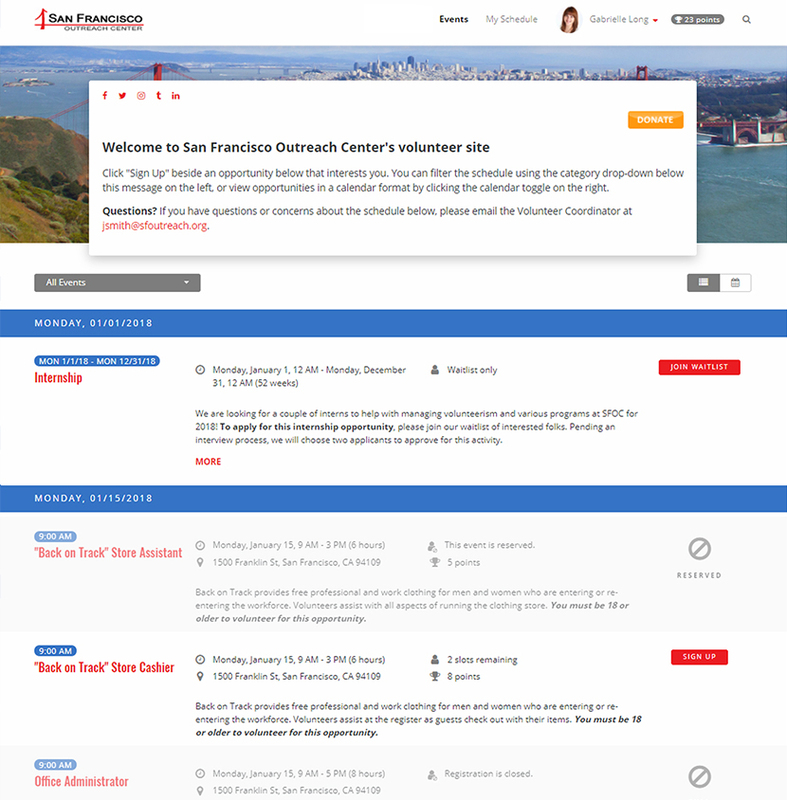 Instantly publish volunteer events online with VolunteerHub’s centralized, web-based system. 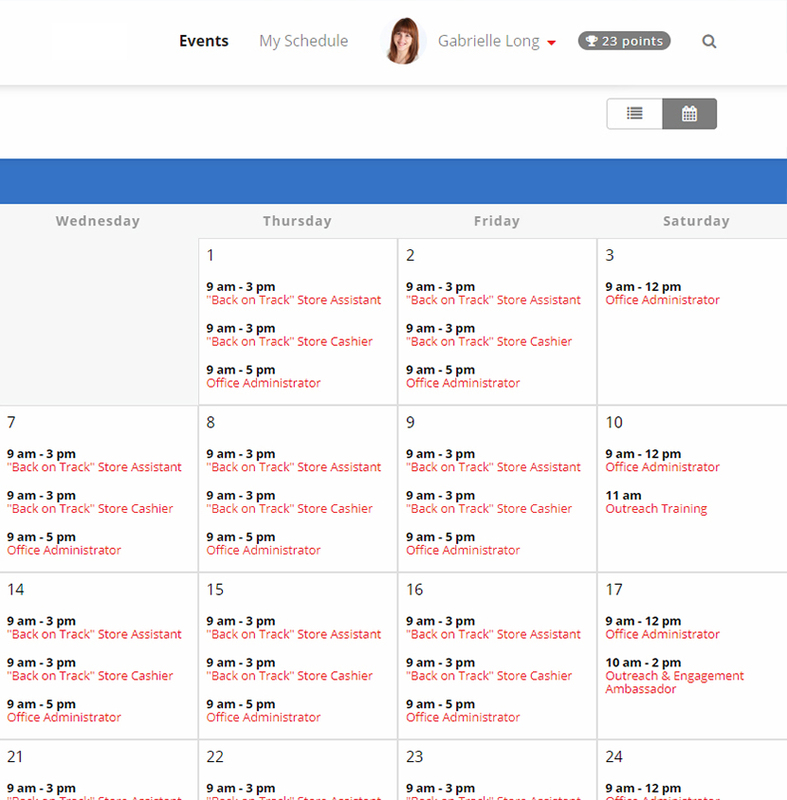 The interactive calendar simplifies both the registration process for prospective volunteers, as they can easily review upcoming events and access event information 24-7 with the click of a mouse, and the management process for your administrative staff, as they can log in any time and review which events require more volunteers. VolunteerHub’s online volunteer management software significantly reduces the amount of paperwork like sign-in sheets and streamlines the registration process. You have the ability to track the number of event registrants in the user dashboard, limit and control the number of volunteers who can sign up for a given opportunity, and also register entire groups at a time like church volunteers or other entities. 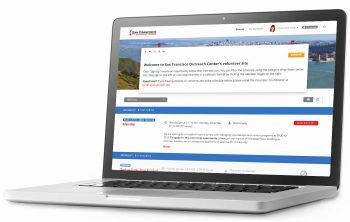 Plus, VolunteerHub's volunteer management solution offers the option for volunteers to browse and register for events online to make their experience more convenient. 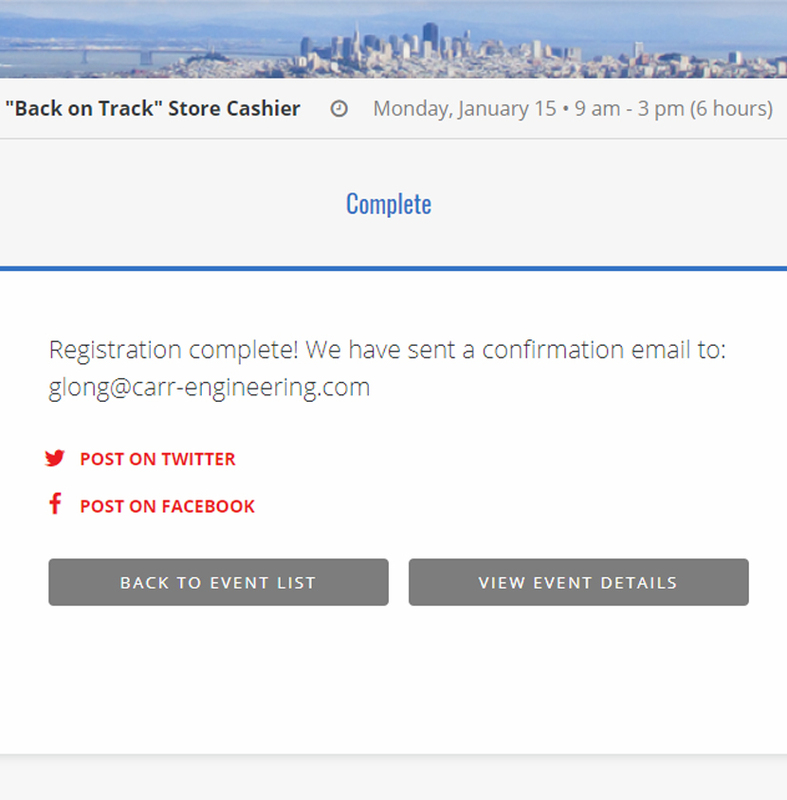 Volunteers will receive personalized registration confirmation emails, reminders and thank-you notes. The VolunteerHub platform acts as an automated volunteer manager, organizing important information into an intuitive user dashboard. VolunteerHub has an integrated volunteer database built into the platform and is a comprehensive solution for nonprofits of all types.